I wanted to keep this space light and bright, but bring in a lot of different textures and mix matched prints to keep it interesting. One of the best part of working with a monochromatic palette is that any print or texture can be brought it and play well together. 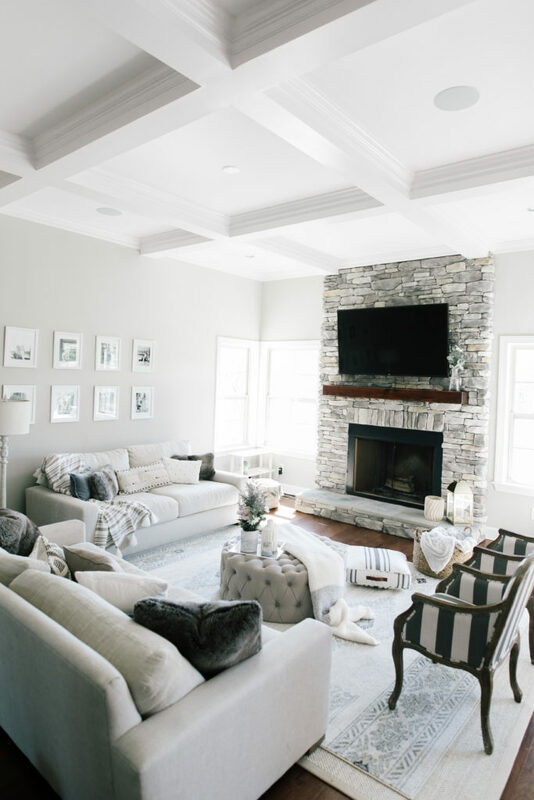 Once you’ve decided on a color scheme you can pick a statement item or two and build around that. I had these striped chairs in the office prior to this, and decided I wanted to move them to living room. They are a bold statement piece so I started building from there. Acrylic furnishings are trending right now, and I wanted to “glam” up the more boho space with a few. 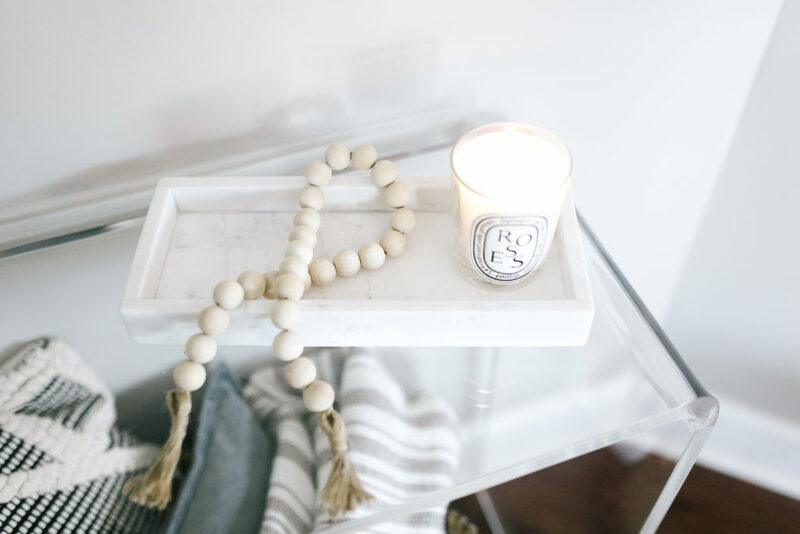 This acrylic tray is such a versatile piece that I have several of them all throughout our home. You can throw some florals or candles on one to freshen up a space easily. 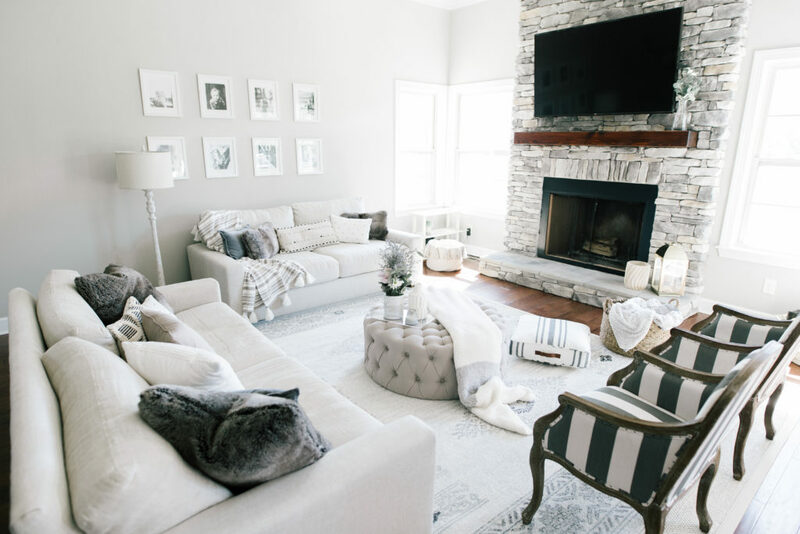 Making our house feel like a home and putting our own spin on the decor has been so much fun! 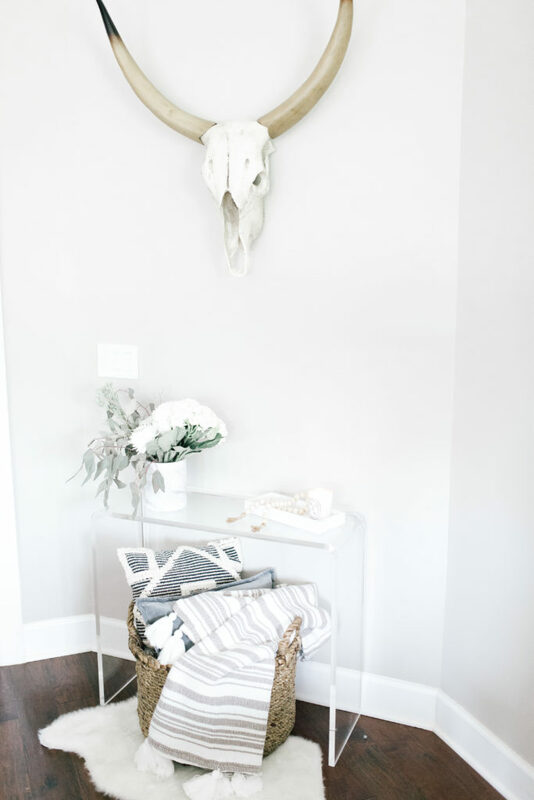 Can’t wait to show you the entryway I’m working on next. Love, love, love your style! 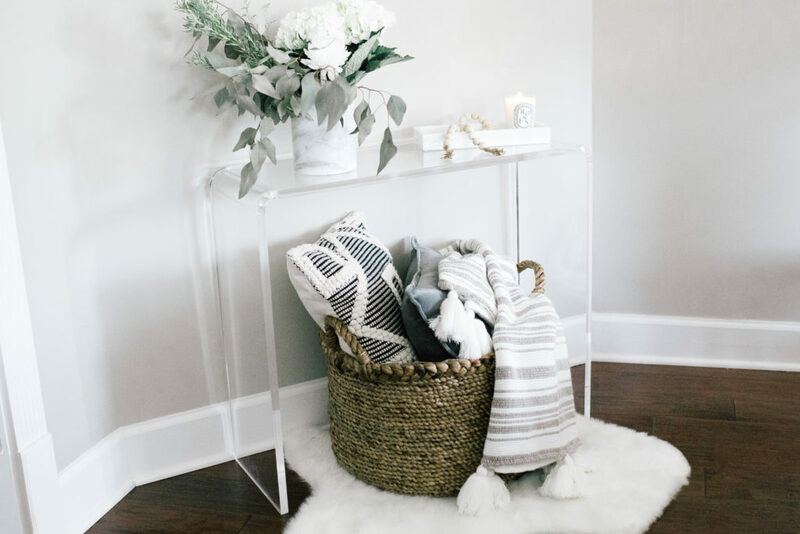 I purchased the threshold baskets and the lulu and georgia rug in this post and just adore them. I even purchased a similar rug for the next room and it is perfect! Thanks for your recommendations, you have the best taste!